Casting continues to ramp up for Godzilla vs. Kong. With its November start date fast approaching, director Adam Wingard and Legendary Pictures are packing the film with an impressive and diverse roster of talent. 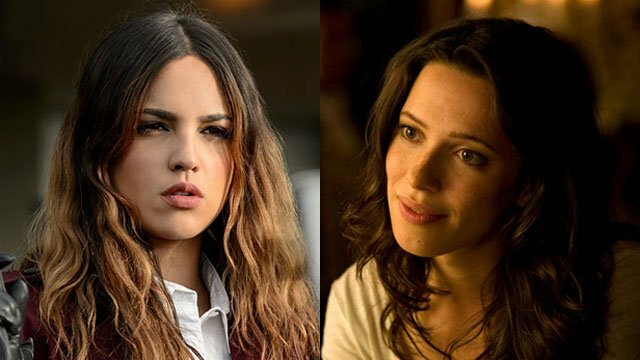 According to Deadline, Eiza González just inked a deal to appear in 2020’s summer blockbuster. Likewise, Variety has the scoop that Rebecca Hall has landed a role in the film as well. González has previously appeared in Edgar Wright’s Baby Driver and El Rey Network’s From Dusk Till Dawn: The Series. Hall has had star-making turns in Vicky Christina Barcelona, The Town, and Iron Man 3. Godzilla vs. Kong will be the fourth installment of Legendary’s kaiju-based cinematic universe. The creatures’ upcoming slugfest was hinted at in a post-credits scene in last year’s Kong: Skull Island. Time will tell if King of the Monsters is planning a similar tease for its theatrical debut on May 31, 2019. Alexander Skarsgard recently joined Godzilla vs. Kong as the leader of a military unit. Most of Godzilla vs. Kong’s recent casting announcements haven’t offered any details about who the actors are playing. All we know for certain is that Millie Bobby Brown (Stranger Things) is reprising her role as Madison Russell from Godzilla: King of the Monsters. So far, Madison’s mother, Dr. Emma Russell (Vera Farmiga), hasn’t been announced as part of the cast. Because of that, we have to wonder if Emma will survive the events of next summer’s sequel. Kyle Chandler and Ziyi Zhang are also rumored to be returning from King of the Monsters, but there are conflicting reports about this. Godzilla vs. Kong smashes into theaters on May 22, 2020. Do you have any theories about González and Hall’s characters? Tell us what you think in the comment section below!